Get started tracking time with AND CO! 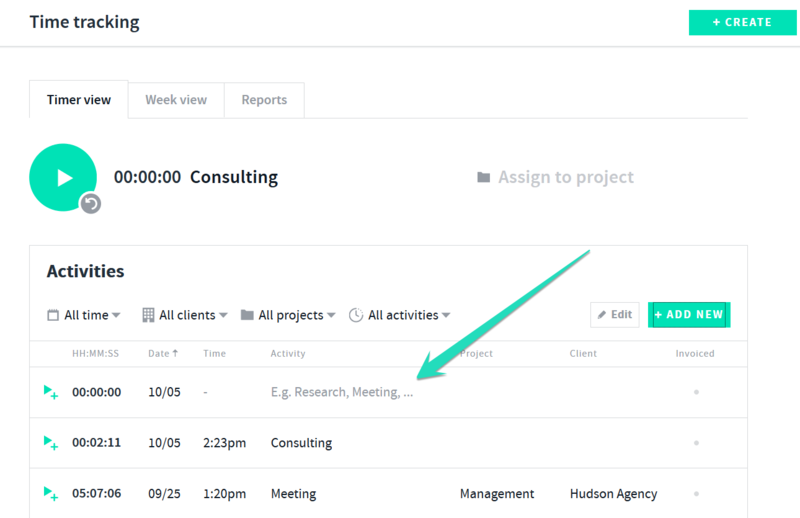 You can get started tracking time right away without creating a project. Or simply add it as a new activity not as yet tied/attached to a project. 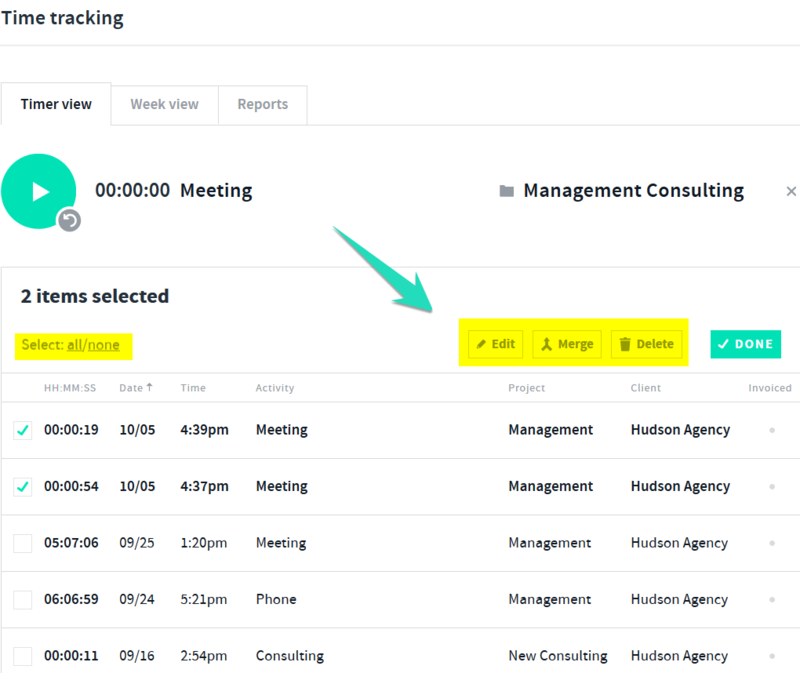 Once you have stopped the timer the time activity will be added to your timesheet. Once you have selected Edit a pop up window will appear for you to edit and confirm the time activity. 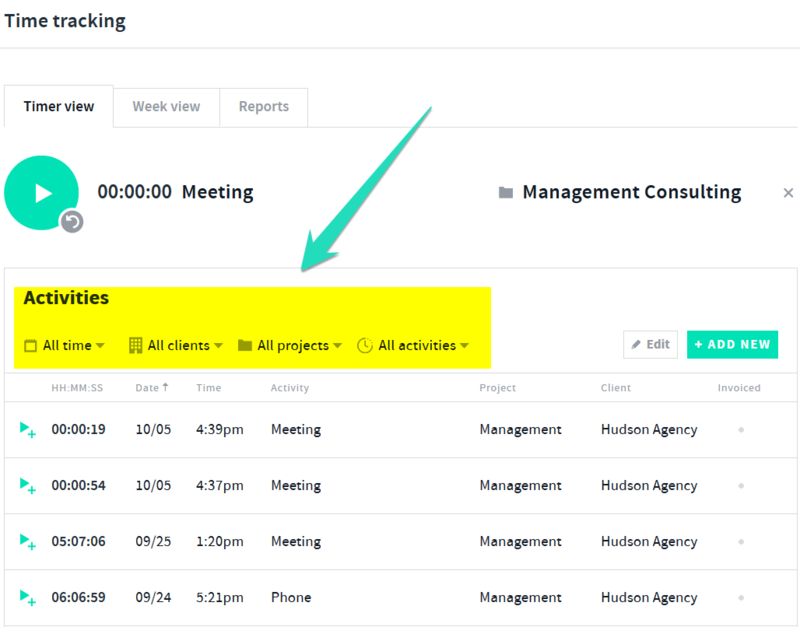 Once you have selected > add activity you will see a new activity added to the timesheet where you can enter in the information/details or select to edit/delete it. Once you have entered in the details of the time activity simply select save. Then select edit or delete. 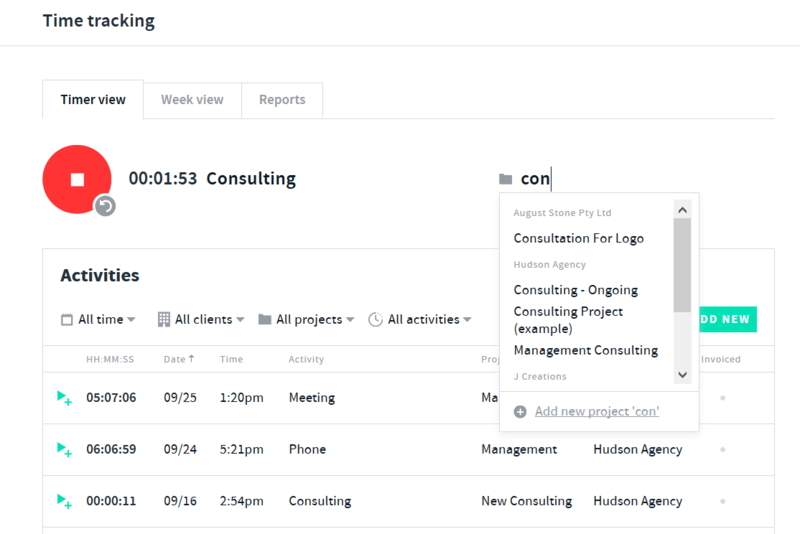 You can also quickly assign time activities to projects via the time tracking page by selecting the time activity > assign to project. 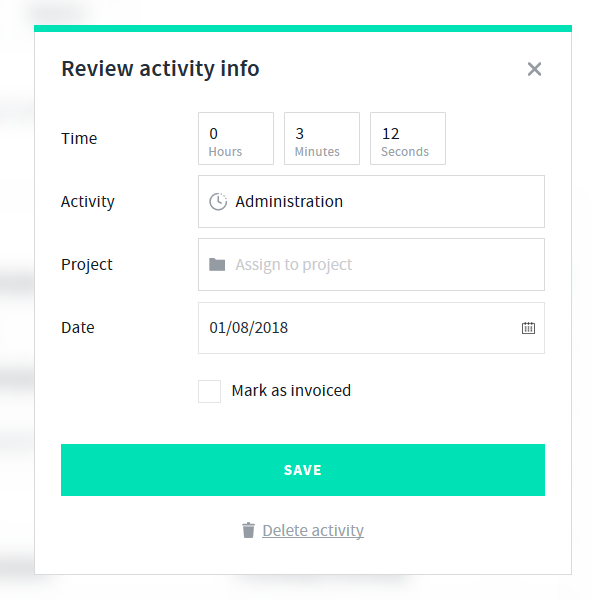 enter in the project name or select from the drop down. Quickly Track the same time activity again by selecting the green play + symbol next to the activity and this will start the timer with the same activity details. Once you select the green play + symbol next to a tracked activity the timer will auto start with the same details of that activity.